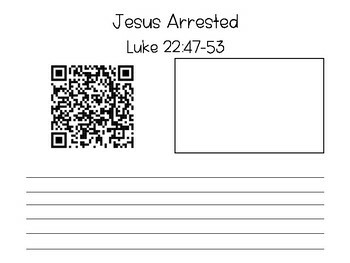 Students will be able to read, draw, and retell the events of the Easter story. 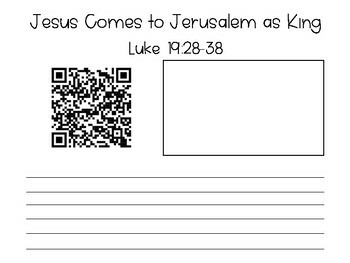 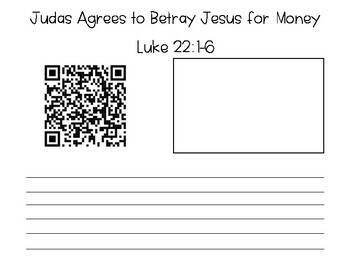 On each page, students can scan a QR code to take them to a Bible verse. 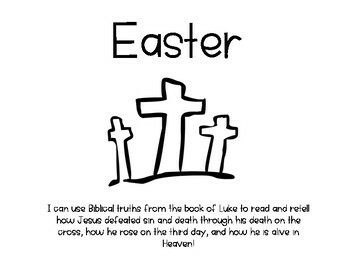 After reading the verse(s), students can retell the main idea of the section and then draw a picture.